The New World Order Globalists who had engineered and instigated both World War I and World War II now establish the United Nations as an embryonic World Government. The idea is sold as a means to prevent future wars. 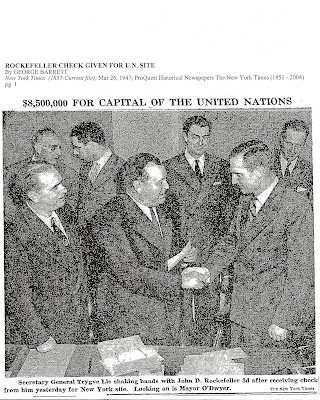 Arch-Globalist John D Rockefeller Jr. donated 6 blocks of Manhattan to the United Nations. The Allied bombardment & destabilization of Western Europe and then Germany had caused immense suffering for the people of post-war Europe. The New York based Council on Foreign Relations hatches a long range plot to bring the nations of Europe under a single socialist system. But they are going to need a trusted "front man," a creative "cover story" and a clever "gimmick" to sell this expensive scheme to a reluctant Congress and skeptical American public. Established after World War I, the Council on Foreign Relations has since chosen most US Presidents, and crafted a Globalist foreign policy. The CFR was behind the "Marshall Plan," a scheme from which the EUSSR grew out of. 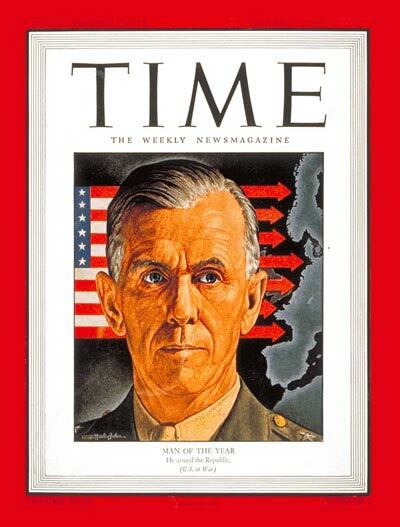 The phony "war hero", General George Marshall (CFR) is trotted out to announce "The European Recovery Program" during a speech at Harvard. The plan is soon dubbed, "The Marshall Plan" by the propaganda press. The scheme amounts to a multi-billion dollar foreign aid (bribery) giveaway. For marketing purposes, the CFR plan for Europe was named after the hyped up, phony "war hero" who handed Eastern Europe and China over to the Communists. 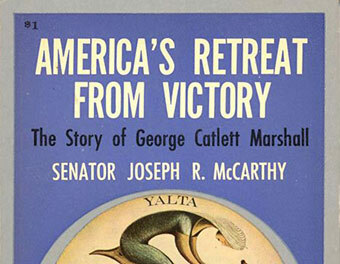 Years later, the great Senator Joseph McCarthy (Image 3) exposed George Marshall (1) as a fraud. Though the Marshall Plan will indeed provide relief, the true purpose of the Globalist plot will be buried deep within the aid package. A clever campaign of reverse psychology pushed the Marshall Plan over the top. The American public is told how much Stalin hates and fears the Marshall Plan. This alone creates widespread support. Reverse Psychology: The Marshall Plan was sold as "anti-Communist"
All of a sudden, the US foreign policy Establishment became "anti-communist?" Now also known as the Economic Cooperation Act or The European Recovery Act, the $17 billion dollar "Marshall Plan" (which will end up consisting of 85% grants or loan forgiveness and only 15% in paid back loans) passes a divided Congress. It is signed into law by President Harry Truman (whose administration is actually infested with Communists) in April of 1948. The "poison pill" of the Marshall Scam is the sub-group that it creates in order to administer the economic aid package: the 18 member Organisation for European Economic Cooperation. The Marshal Scam's OEEC (Image 1) consists of 18 nations. 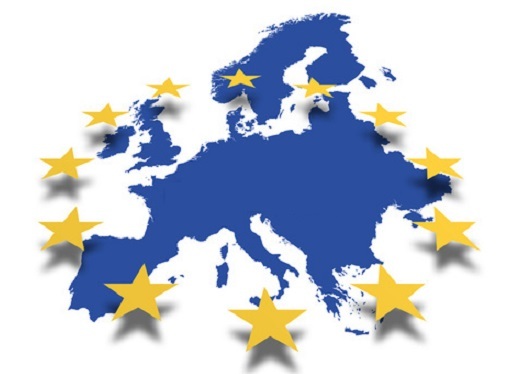 It is the embryo which will eventually grow into the European Common Market, and then the European Union (Image 2). Under the guise of "free trade", the next major step towards integration is taken when the Common Market" is established in 1957. The founding members are France, West Germany, Italy, The Netherlands, Belgium and tiny Luxembourg. 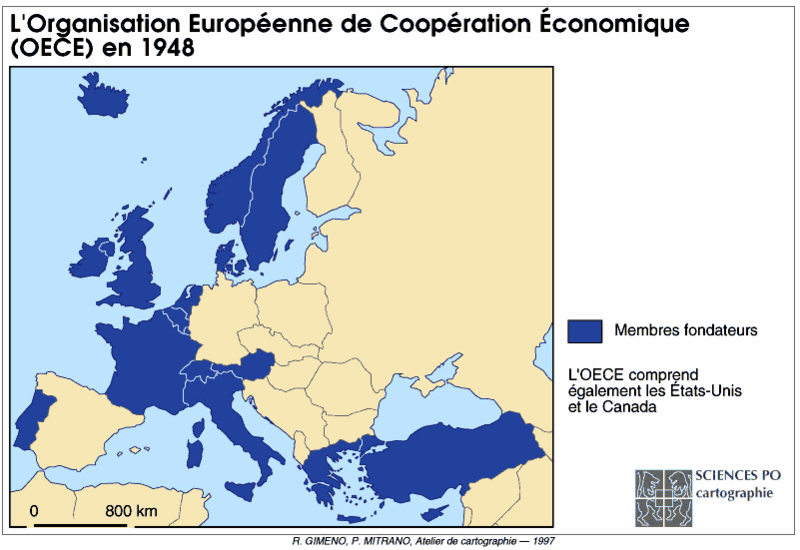 The animated figure at right shows how the original "BeNeLux" nations (forerunner of the "Common Market") have gradually expanded into the European Super State. 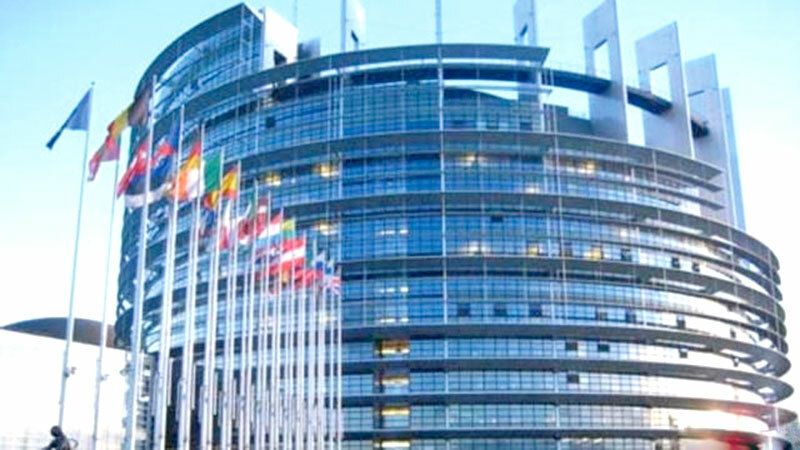 The European Common Market, as planned, evolves into the tyrannical, socialist, anti-White, pro-homosexual European Union of today -- referred to by critics as "EUSSR" (European Union of Soviet Socialist Republics). 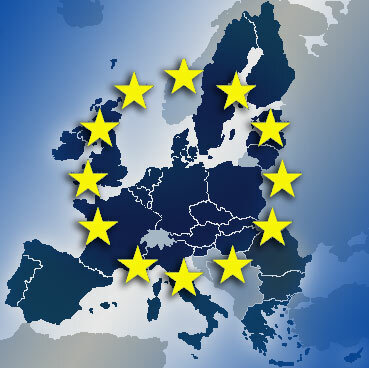 The Brussels based European Super State dominates its member nations and now wants to expand eastward. Immigration quotas, regulations, bailouts, and financial austerity are imposed upon its helpless members. 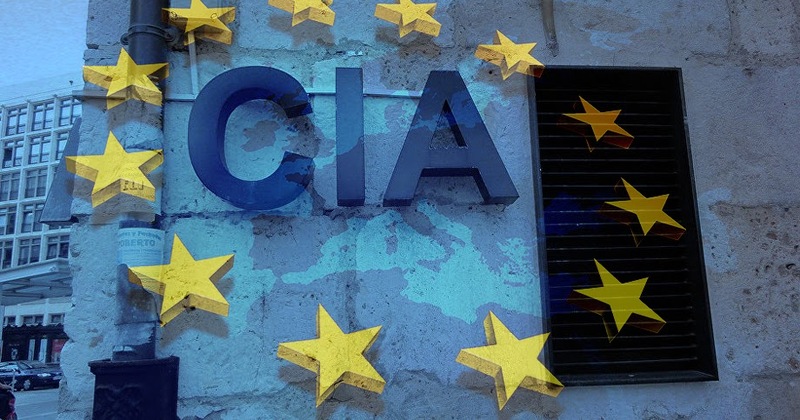 Any Nationalist that rises up to oppose European integration will be dealt with by the CIA. At any and all costs, "another Hitler" must never arise in Europe again. Hitler's peaceful & prosperous nationalism was the REAL reason that World War II was imposed upon Germany. The CIA's prevention of European Nationalism is enforced with bribery, blackmail, assassinations, and spontaneous "people's uprisings." Behind the EU lurks the CIA "Deep State" -- the real controllers of the pathetic Globalist Germany of nasty Angela Merkel. Russian President Vladimir Putin understands that EU and its US controlled military arm, NATO, are modern versions of what the old USSR once was. 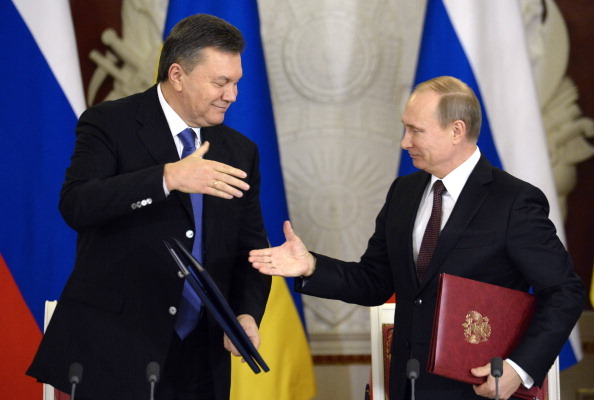 Putin was close to the Ukrainian President Yanukovich, and had hoped for a sovereign Ukraine, with its rich farmlands and 45 million people, to join his voluntary Eurasian trade bloc instead. Nationalists Putin of Russia & Yanukovich of Ukraine did not wish to integrate with the pro-homosexual, debt ridden, degenerate, Marxist European Union. 2013: Ukraine Says "No" to the EU. The CIA unleashes a "spontaneous" uprising. The US and EU are incensed over Ukraine's recent decision to walk away from potential EU membership, and move closer to Putin's Russia instead. CIA engineered "protests" suddenly erupt in Ukraine. CIA flash mobs of pro-EU traitors protest their government's decision to walk away from EU integration. 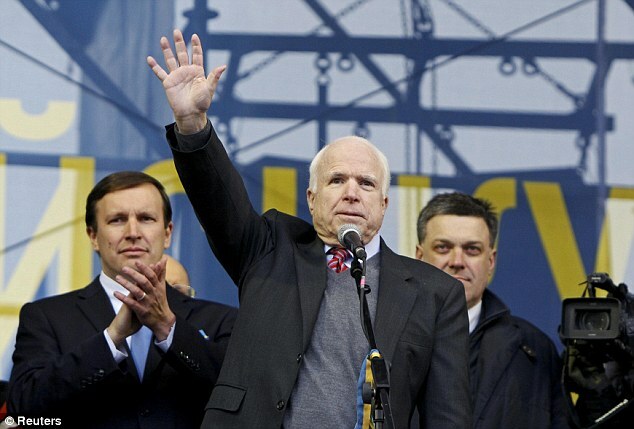 The mob is encouraged by CFR member and warmongering psychopath, Senator John McCain. Send to Address listed at right. Include detailed instructions and print your E-mail very neatly. As soon as your payment arrives, we will E-mail your passcodes / pdf's etc. If you have G-mail, our E-mails may automatically go to your "Promotions" folder. Look for them there and restore to your primary box.